I love the scratchy throated R&B singers the best. 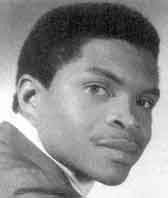 And, Otis Clay is one of the greats. 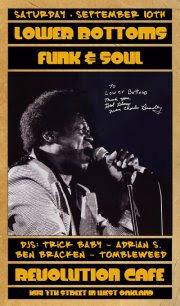 His style, that of funky blues and rough soul, is one of my most cherished and favored. This tune in particular I rocked recently here in Oakland at a party put on by some cats I've newly been acquainted with. 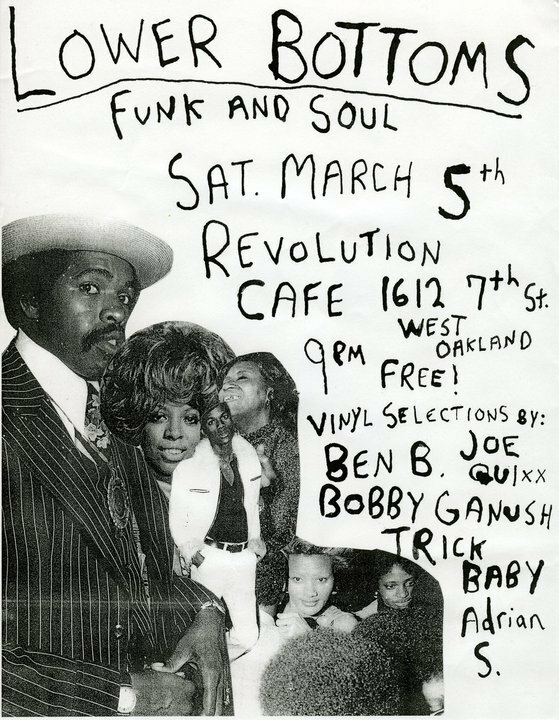 This crew I've become aware of this last year is the fabulous Lower Bottoms DJ's and their nite at the fantastic Cafe Revolution. 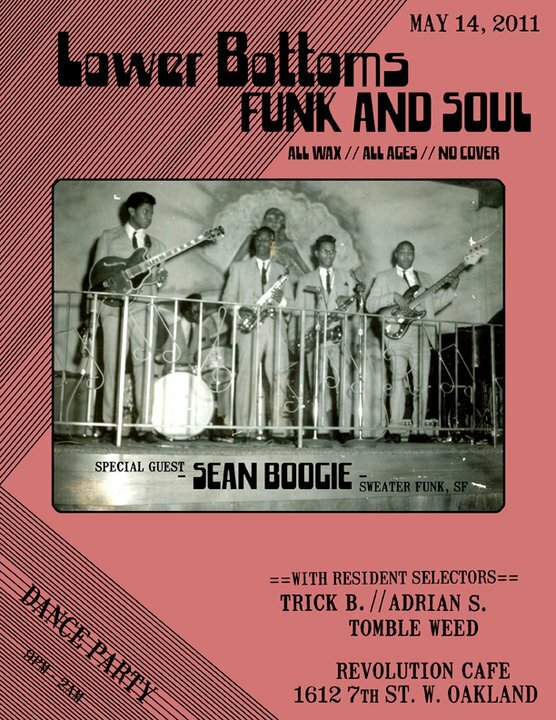 Honestly, I haven't seen anyone truly hold down a decent funk and soul party in Oakland since Kitty's Wednesday nites almost 5 years ago or so. This is thee monthly party to be at in Oakland. It's been proving that every second Saturday of the month. It's got some truly special elements going for it, and the main cats involved, Bobby, Joseph, Adrianne, and Ben are all fathoms deep into music and a pleasant bunch to boot. These cats have inducted me into their vinyl fiendy family and I'm happy to join the dysfunctional party scene they've created. I don't roll thru nearly as often as I'd like, but this party is the funnest around. I get my mind blown every time I DJ with them and this party often goes until the early morning light. I'll be guest spinning with them this December on the 11th and I've got some heavy treats to lay on the LB gang. Those whose feet hit the floor won't be disappointed. This party ain't for wall flowers. 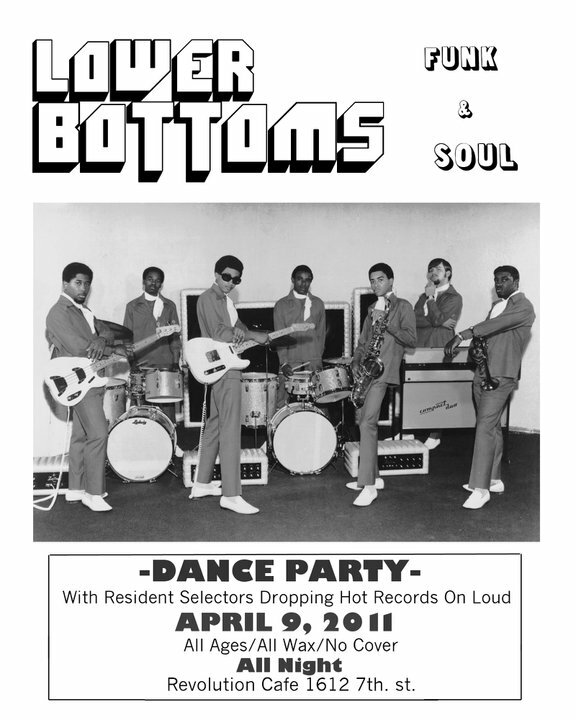 Just look at these fabulous flyers and you can see what's going on at these parties. In between caring for my fam, these nites have been my breath of fresh air. 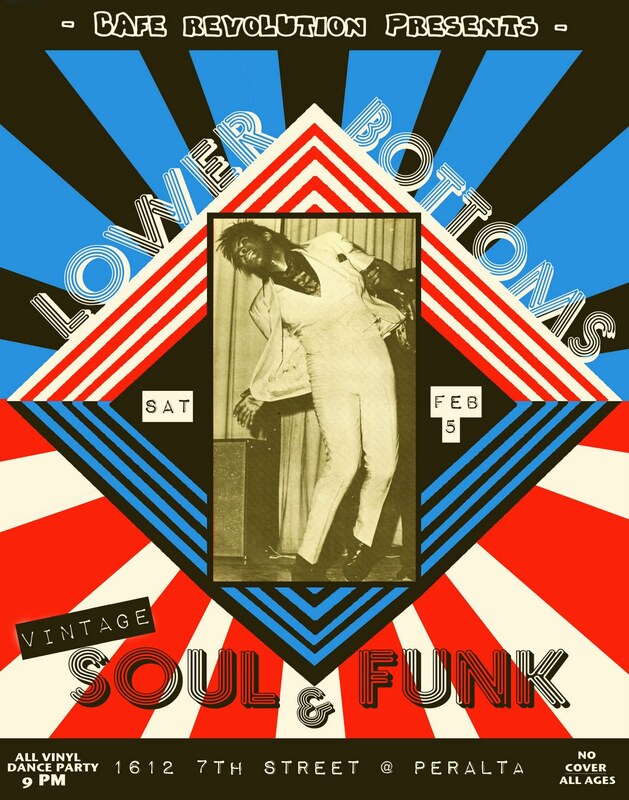 The sound system is thundering and the attitude of the clientele is positive and full of energy. 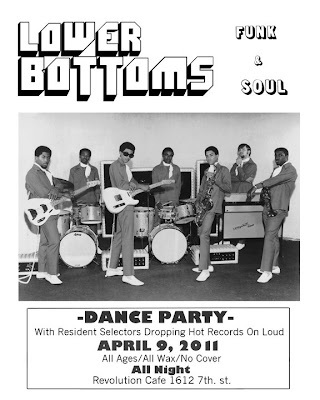 Kudos guys... nice party, deep in the funk, sauteed in the soul, in the heart of Oakland, smack dab in the Lower Bottoms. Thanks MissT !!! Glad you're enjoying that party. It's a killer. We'll see you there!! Please introduce yourself!! !